Nifty opened with a gap-up near the highs of the day but was unable to sustain and went down to lows around 6060 level. Though the index tried to come back in the green but was not to be as it closed weak below 6100 at 6089.05, a loss of 23.65 points. The broader market was very weak, with just 453 advances to 887 declines. Support is getting stronger at 6000 level. Call option 6200-6600 added 13.75 lacs huge amount of OI with short covering seen at 6100 and below strike prices. 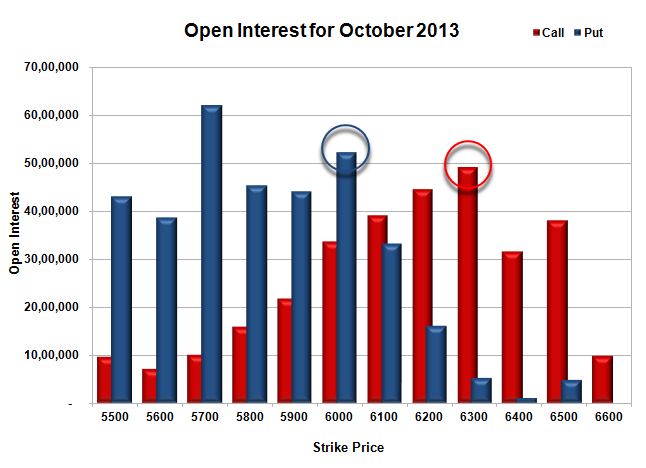 Put option 6200-5900, 5700 added 21.34 lacs huge amount of OI with profit booking seen at 5800 strike price. 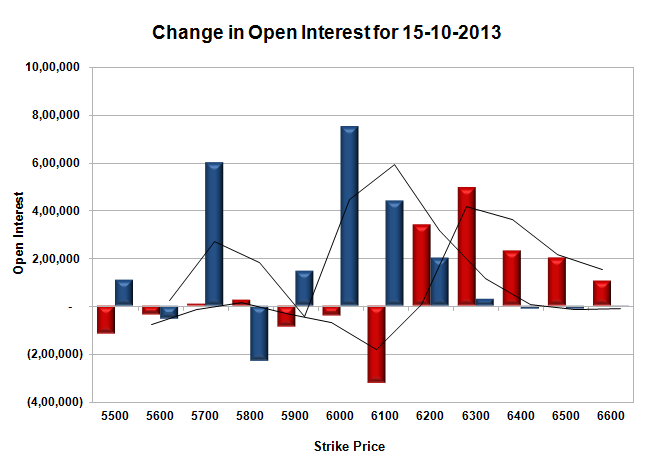 Nifty Open Interest is at 1,91,60,900 up by huge 9,00,050, with decrease in price, most probably huge short build-up. Bank Nifty Open Interest is at 17,64,125 down by huge 1,60,200, with decrease in price, most probably huge long liquidation. FII’s bought huge 12.70 lacs Futures, mostly long build-up, as their net OI increased by 31836 contracts (includes 91975 longs and 66571 shorts) and the average price per contract comes to around 5099.36. FII’s future open contract as on date is 486291. PCR Open Interest (Volume) is at 1.334. 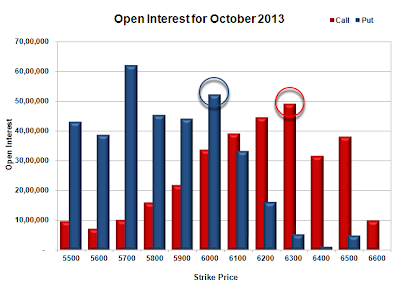 Initial support getting better at 6000, with OI now at 52.29 lacs, below that at 5900, with huge OI of 44.14 lacs. Resistance at 6200, with OI now at 44.48 lacs, above that at 6300 with OI of 49.17 lacs. 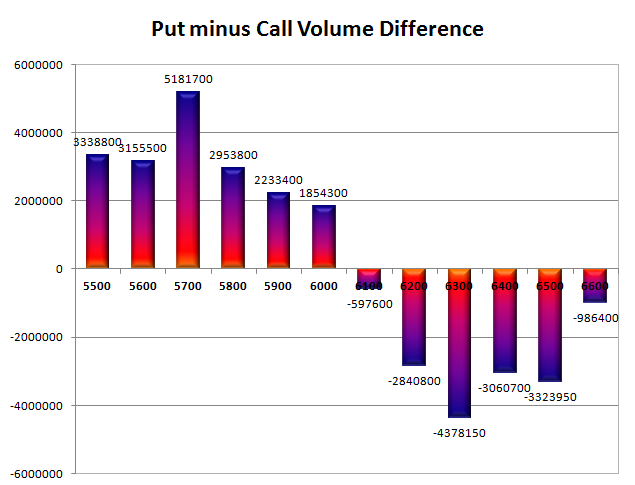 Day Range as per Option Table is 6030 - 6165 and as per VIX is 6015 - 6163 with 6101 as the Pivot.